I’m reading another critic/minor poet’s book about the early 20th century British literary scene, Edward Shanks’ First Essays on Literature. He’s in general more backward looking than Herbert Monro’s 1920 Some Contemporary Poets where I discovered Charlotte Mew (Shanks’ book has essays on Keats and Shelley) but I was interested what he had to say in his chapter “The Later Poetry of Mr. W. B. Yeats.” Shanks seems ambivalent about Yeats, and this is one of the pleasures of reading contemporary assessments of still active artists. 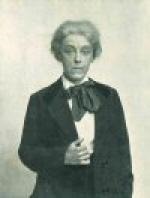 He notes with approval that Yeats’ language has with the 20th century become less formal and fusty, though Shanks feels that gain comes at a loss of a singing quality. * Another conclusion he reaches is that Yeats’ is best when he’s describing the fantastical: “It is not Mr. Yeats’s business to describe the actual world, but to make beautiful pictures out of his dreams.” Though giving Yeats his due, Shanks doesn’t seem to think this is a good thing. Interesting comment that, though I was already aware of Yeats’ appreciation of Irish myths and his dabbling in his era’s contemporary occultism. It caused me to stop and connect Yeats, and the two lesser known poets I’ve presented this month: Charlotte Mew and Yeats’ associate Walter Turner. Both have aspects of fantasy in their poetry too. And even our staid prelate of High Modernism, T. S. Eliot, while seeking his correlates within the whole timeline of culture, picks out elements of unreal gothic horror to weave into “The Waste Land.” Elements so broad as to make me compare a section of “The Waste Land” to Metal bands. Did the horrors of WWI and the shifting ground of artistic Modernism impel some poets of the time to retreat (or advance) into fantasy? With the war poets, many of which had been “reporting” from the front-lines, no longer lining-out contemporary events while those events’ questions of outcome and action were pressing on all, was there now after the war a countervailing mode to step away from the pressing real? If so, it’s no simple thing, and not just a matter of “give me some beautiful art to not let me think about hard questions.” Fantasy is just metaphor presented on another layer of art. Eliot, who unlike many of his contemporaries did not serve in WWI, would have trouble writing about the war as the veterans did after all. And the Surrealists—well their whole point was those “pictures out of…dreams” might reflect something essential. Fantasy. Escapism? Surrealism? Metaphor presented in another layer of art? Mew’s “Changeling” from my last post? 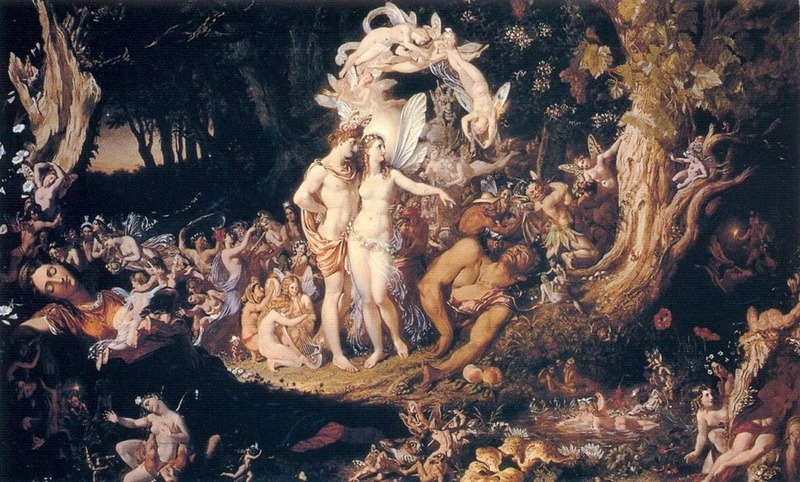 Yes, it’s a fairy story, as is Yeats’ great “The Song of the Wandering Aengus,” but either connects first on an emotional level deeper than any amazement at the fantastic. Talking fish or fairies knocking at windows are mundane compared to the loneliness of old age or the alienation of being an unlike youth. Well, let’s end for now with an audio piece, an old one of my own. I wrote “China Mouth, A Changeling” over 40 years ago, after listening to a conversation where someone else was bemoaning their alienation. During the conversation the main talker paused to reapply some very red lipstick, its deep red the China in the mouth of the title. Unlike Mew’s changeling—who will run off, who cannot be stopped—there seemed to me to be an element of stasis in that overheard conversation. They seemed resigned that they would have their art and their alienation in a frozen balance. That brought to mind a story in Robert W. Chambers’ “The Mask” from his 1895 collection The King in Yellow in which a liquid turns living things into statuary. That idea informed the last verse. Depending on one’s taste for mystery, it either saves or ruins the song. Use the player below to hear it and decide for yourself. One thing I loved doing to stretch my culture and entertainment dollar back in the 20th century was to go to a used record shop and look for unusual records. The more disorganized and undiscerning the shop, the better for my purposes then—since the lowest price was important, and whatever the time spent, it was enjoyable. It felt so good to come home back then, less a dollar or two, but with a record by someone I’d barely heard of, or never heard of. What would it sound like? What would they be trying to express? There’s a universe of art out there, commercial and not, music, words, every art. What hides itself, unlooked at, unheard, while our summarized cultural attention is elsewhere? This project has allowed me to do the same thing with the poets of the early 20th century. One way to find the overlooked is to read contemporary journalistic accounts of an era. They are unfiltered by later consensus, and focused on the day to day of their day, not overly informed by the judgements of history (which aren’t complete, much less unerring). And so, I’ve spent time this week reading Harold Monro’s* 1920 book Some Contemporary Poets. 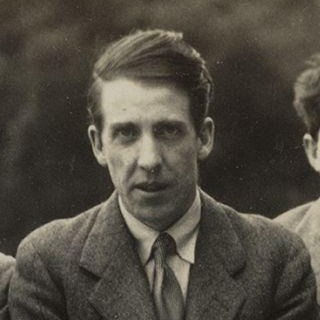 Monro is himself a poet I thought might be an interesting minor writer to examine. Instead, his book led me to at least two other writers that I found immediately interesting. Today you get to hear something from the first of them. I happen to think that one of the common faults of poetry is its resort to too many and too uselessly fancy a set of adjectives, so I looked at a few Walter J.Turner poems. I didn’t have to go far to see one that called to this reader’s memory for some—who knows?—unwanted tune. I haven’t found out much yet about Turner’s life, but those rumors of greatness back in 1920 largely came from William Butler Yeats—a blurb any lyric poet would be glad to get. Turner isn’t as fluid a poet/word-musician as Yeats is (is anyone?) but he seems to have been struck by the fanciful, exotic and even occult aspects that are one thread in Yeats. Today’s piece “’There Came a Lion into the Capitol’” shows this. Besides poetry, Turner wrote music criticism. Turner published that title in quote marks, but I can’t find the literal phrase he might be quoting exactly. Lions and rulers and rulers’ seats are a rich trope of metaphor in general, but he may be referring to Cassius speaking about Julius Caesar in dialog from Shakespeare’s play. If so, his poem is very impressionistic, mentioning nothing that links it to Caesar, to Shakespeare, or any particular time or place. The poem is entirely fantastic, in the strict sense of the word. The title lion somehow materializes from the page of a book (Shakespeare’s plays? The Bible*** or some equivalent? A spell-book? Some other book of lore?) and an apocalypse occurs. By the last stanza, planet Earth is gone and cold space is left. Musically, I may have unintentionally copped a bit of the sound of one of my favorite used record store finds, the masterpiece of one of the great overlooked Afro-American-led bands of “The Sixties,” Love’s “Forever Changes.”**** My playing and arrangements don’t reach that level, but the orchestration of “Forever Changes” is what comes to my mind when I think of acoustic guitar mixed with a horn section, so maybe one of those dark-horse used records from long ago did become a muse here. Hey, what happened to the rest of the band? A classic LP cover and my W. J. Turner parody of it. To hear my performance of Walter J. Turner’s “’There Came a Lion into the Capitol’” use the player gadget below. *H. Monro is not to be confused with H. H. Munro, the other writer whose penname was “Saki.” Monro and Munro were contemporaries. This might have been embarrassing at literary get-togethers! **Not to be confused with J. M. W. Turner. He’s the painter. ***Lions appear in the Bible from the Old Testament to Revelation, but though the title phrase sounds like it could be in Revelation, I haven’t found an English translation that has it. ****The group Love was led by Arthur Lee, not to be confused with ace guitarist Albert Lee, who in turn is not to be confused with Albert Lea, the county seat of Freeborn County in south-east Minnesota. 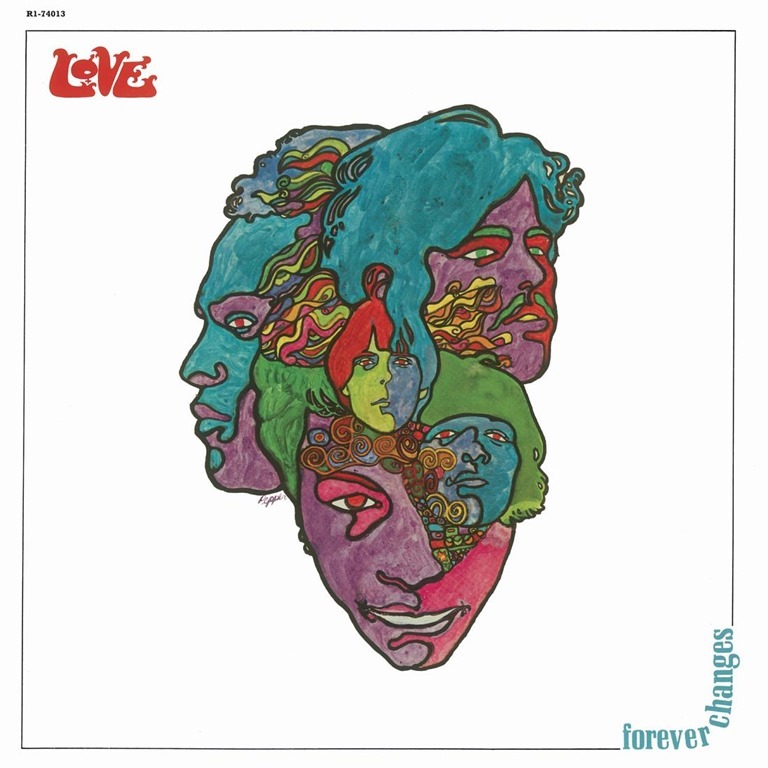 If you haven’t heard Love’s “Forever Changes,” you should. 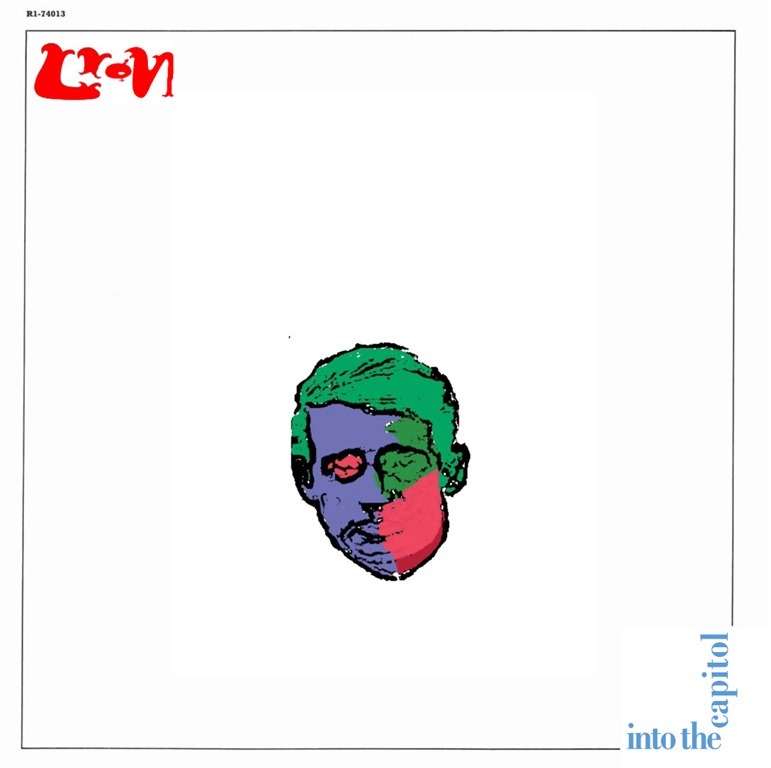 “Forever Changes” sold next to nothing—and the lyrics and some of the melody lines are unusual enough to explain that I suppose—but the LP’s arrangements are so rich and attractive that it’s difficult to imagine the real-world timeline that we actually lived through, the one where this wasn’t one of the biggest records of 1967. In our still ongoing time continuum, maybe Flying Lotus or Frank Ocean ought to do a tribute mixtape. When I look at a more well-known poet or poem, I often find someone else less well-remembered connected with them. This sort of thing naturally intrigues me. Are we overlooking something of interest? Does this lesser-known person change our understanding of the more well-known poet? I’ve noted earlier this month that Carl Sandburg won the Pulitzer Prize for his 1918 collection Cornhuskers—but that’s not the full story. 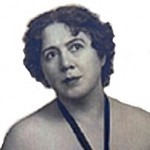 For some reason, they decided to give out two awards for poetry that year, and another poet’s 1918 work was the co-recipient: Margaret Widdemer’s Old Road to Paradise. I don’t aim this project to literary scholars, who likely know more than I do about the poets whose words I use, but there are indications that Widdemer’s name would stump them too, even those whose field includes the Modernist era. From a look through Widdemer’s Old Road to Paradise this can be partly ascribed to Widdemer not writing in the Modernist style that triumphed as the century continued. Furthermore, Widdemer’s outlook, though feminist, is middle-class and lacks the bohemian allure of Millay or even Sara Teasdale (the poetry winner the previous year). As time passes, rebels and poètes maudite often retain their outsider excitement while losing their air of present danger, and Widdemer offers none of that. And while I’m hesitant to judge from a skim through one book, a further issue is that she may not be very good. 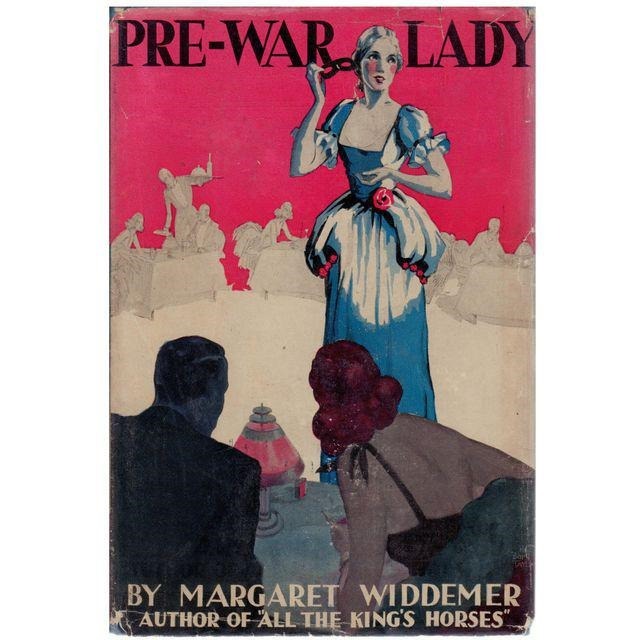 Widdemer also had a successful career as a popular novelist between the wars. Particularly for me, and for the Parlando Project, Millay and Teasdale’s words just want to sing off the page. Widdemer’s, though rhymed and following metrical schemes, generally don’t. There is a flatness to subject matter and a conventionality of imagery that fails to grab me as well. I would have loved to have picked up Old Road to Paradise and found something as interesting as Fenton Johnson, Edward Thomas, or Anne Spencer; but not this time. That doesn’t mean there’s nothing there. Widdemer seems a level-headed person, and she is writing from a woman’s point of view that has fewer representations in the literary cannon of her era. What little I know of her biography says she worked to advance poetry and literary efforts. Could I find something to use? As I paged through Old Road to Paradise I marked “When I Was a Young Girl” as a possibility. Why did this one stand out? It seems based on a folk song, but while it takes lines and tropes from folk songs, it presents an alternative viewpoint to the songs it borrows from. Since the post-WWII folk song revival, folk song has been even further associated with bohemianism and adventuresome living, even though the traditional texts used most often tell of sad ends. From its title and often refrained first line, the folk song we can most easily connect with Widdemer’s poem is the female version of “The Unfortunate Rake” a 17th Century song with dozens of popular folk song variations, including the American cowboy song “The Streets of Laredo.” With the “When I Was a Young Girl” title it’s been sung by Feist and Marlon Williams, and back in the 20th Century by Julie Driscoll and Nina Simone. The general plot of these variations is that a young person is dying after a short, intense life of drink and venereal disease. The too short life of pleasure is valorized even if the song’s singer often remarks that they know they are doomed to hell. No wonder this song has remained popular—both sinners and saints, and listeners on a journey from either pole to the other, can find something in the tale! I used a minor key melody for this, not unlike that used in the folk song. I won’t spoil the ending Widdemer puts on her version of this story by foretelling it here, but it’s not where that folk song and its variations take you. To hear it, use the player below. It’s been too long since we featured one of the looser live performances of the LYL Band here at the Parlando Project, and with the interval, it’s also been too long since alternate voice Dave Moore has been featured. Given that we’re running up to Halloween, and that Dave has a long-standing interest in fantasy and scifi, it’s time to redress that. 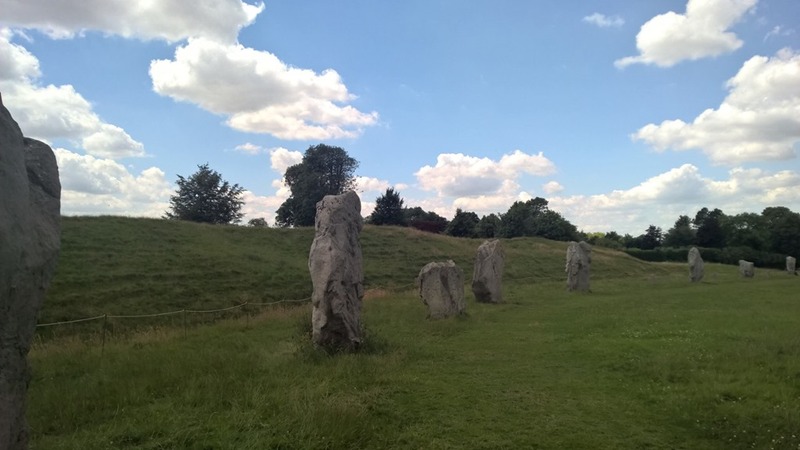 Yes, it’s Avebury, not Stonehenge. Poetic license applied for. Lord Dunsay is one of those writers who had a long successful career during the first half of the 20th Century, but who now gets mentioned more as an inspiration than read as a writer. His Wikipedia entry has one of the longest lists of writers who’ve acknowledged him as an influence that I’ve run across. Everyone from Tolkien to Gaiman has tipped their hat to Dunsay. 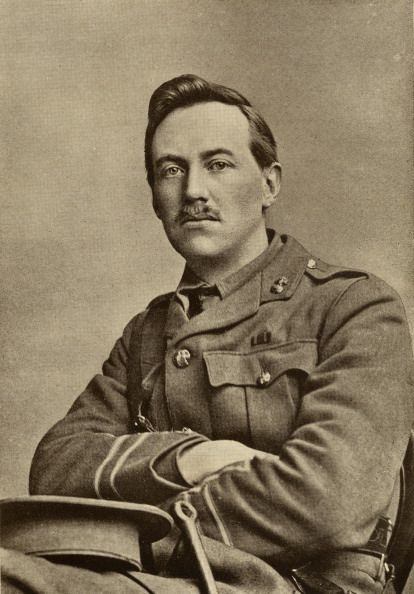 Dunsay served in both World Wars and the Boer War. Besides writing, Dunsay appears to have served in three wars. One hopes that future soldier-writers will be able to avoid reaching that achievement. Dave adapted the short story to make it more musical, but his telling is generally faithful to the original. One detail retained, that I personally liked, is that our narrator is on a bicycle journey as the story begins. To hear “The Return of the Exiles” use the player that should appear below.